An often overlooked tip when designing a garden layout is to choose plants with different blooming times. This results in a dramatic show of flowers that are condensed within a short window of time. Choosing plants that bloom in the spring lengthens the time the garden is alive with vibrant colors, extending its beauty. A variety of flowering plants exist – from brightly colored annuals to majestically large trees – that bloom earlier in the season, giving gardeners the ability to choose specimens that fit their landscaping style. The following 12 are some of the most popular ones planted. A common spring ephemeral, bleeding heart plants bloom early in the spring and may die back completely when temperatures begin to climb. The perennial plants get their name from the distinctive heart-shaped flowers that dangle from weeping branches. Bleeding hearts fare well when planted in partial shade. Known for their intoxicating fragrance, lilacs come in a variety of colors and sizes to meet the landscaping needs of many gardeners. Lilac bushes enjoy full sun and well-drained soil. Blooms occur on old wood, so prune plants shortly after flowers have faded. The Chicago Tribune explains how important it is to time pruning around flowering. Different tulip varieties bloom at different times. Plant a selection of bulbs in the late fall for continuous blooming from early to late spring. Tulips are native to Central Asia; the original species were only available in shades of reds and yellows. Today bulbs can be purchased in almost any color imaginable. Available in a range of colors, the pansy is one of the most popular annuals planted in gardens and flowerbeds. Flowers have large, showy face markings. Plant pansies outside once soil temperatures reach at least 45 degrees; according to New Garden, these hardy plants will even survive a frost. The grape hyacinth blooms in April and May, stunning the landscape with grape-shaped clusters of blue, purple, white or yellow flowers. Plant bulbs in the fall in well-drained soil approximately 3 to 4 inches deep and 3 inches apart. Large groupings of plants look best and thrive in spots that receive sun at least half of the day. Traditional daffodils come in iconic yellow or white, with newer varieties available in many colors. They are deer- and rodent-resistant but should also be kept away from pets. When cutting them for fresh flowers, keep them in a vase by themselves; they secrete a sap that wilts other plants. Irises are popular spring plants thanks to their hardiness, easy-to-grow nature and their ability to attract hummingbirds and butterflies. Plant bulbs in the fall; do not prune back foliage after flowering stops as the leaves continue to photosynthesize to feed the following year's growth. To the delight of many, crocus are known to poke their way up through the last remnants of snow lingering in the garden. The diminuitive blooms range in color from purples to oranges and draw bees out of their hives with a strong fragrance. Crocus bulbs naturalize as well, spreading and returning year after year. Contrary to their name, the charming flowers on bluebell plants start off as pink buds and turn blue over time. Bluebells need rich, moist soil and grow best in shade to partial shade sun exposure. 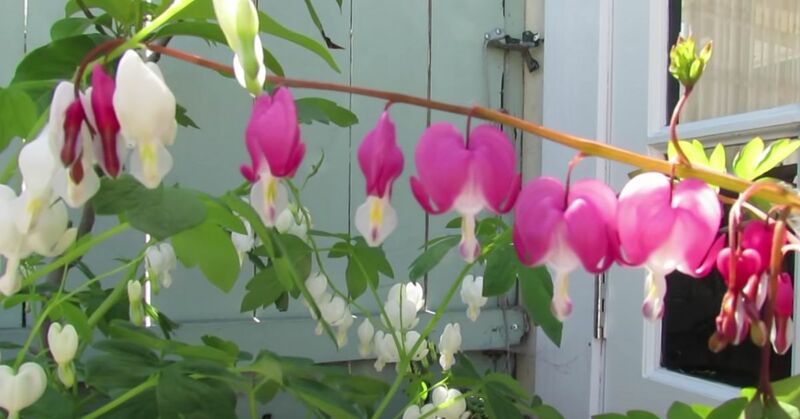 Like bleeding hearts, this spring ephemeral dies back after flowering. The bright yellow flowers of forsythia shrubs are a sure bet that spring is on its way. One of the earliest spring bloomers, the bright yellow flowers open before foliage emerges on the plants. Forsythia are easy to grow and tolerate poor soil conditions and bouts of drouts. Magnolias are popular around the world for their intoxicating fragrance and glossy foliage. They thrive in sunny locations protected from harsh winds. Flower can span up to 8 inches in diameter, commonly in pink or white. Check the variety upon purchase as some won't bloom until shrubs/trees are 15 years old. Reaching 6 inches high at most, creeping phlox are used to create stunning groundcovers. Creeping phlox plants tolerate poor soil conditions and do well in full-sun locations that get a touch of shade in the afternoon. The flowers attract butterflies and are bloom in shades of red, white, pink, blue and purple.